Bergdorf Goodman is an American luxury goods department headquartered in New York City. From shoes to bags to accessories, this store has become a staple name for high-end items. It boasts of a wide arrange of fashion designers that add to the store's collection. With Big Apple Buddy’s personal shopping service, you can now buy direct from the Bergdorf Goodman online store anytime, anywhere. 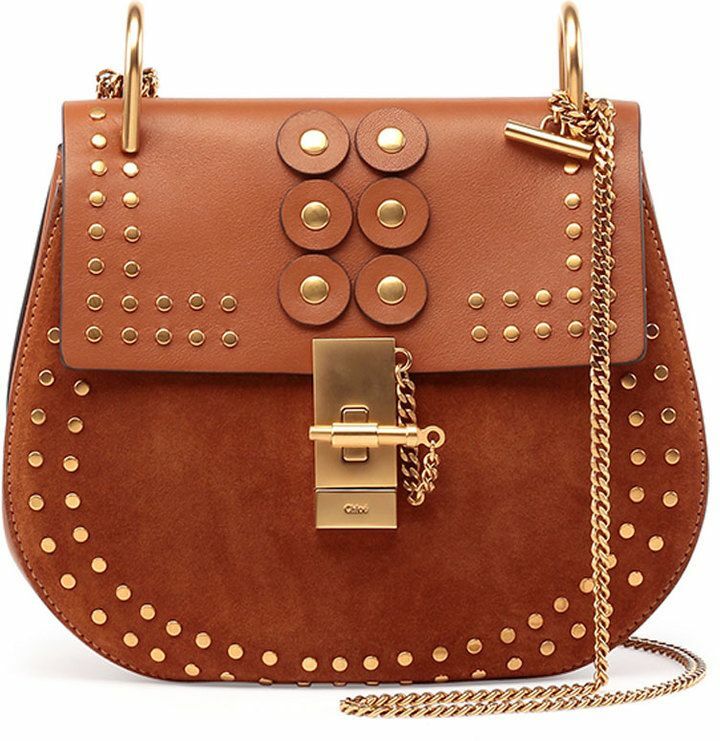 You shouldn't go outside without the Chloe Drew Studded Suede Shoulder Bag! This will be your new best companion when you need to carry your most essentials items and look good doing it. The simple but elegant shoulder bag has a strap to allow versatility with how you want to carry it. Meanwhile, the pin-lock closure keeps your personal items safe and secure so you don't have to worry about misplacing anything. Your feet will thank you for the Valentino Camustars Rockstud Pump Shoes of the Bergdorf Goodman collection! These beautiful pumps are fully covered with leather for a comfortable and tight fit. Meanwhile, the four inch heel gives you that extra boost and confidence for a complete outfit. The ankle strap secures your foot so you won't have to worry about wobbling while walking or uncomfortable blisters. Do you have a lot of things to take with you? Don't worry! 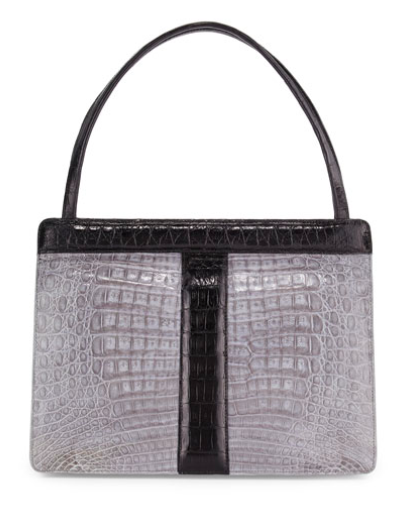 Bergdorf Goodman's Nancy Gonzalez Top-Handle Crocodile Frame Bag is the solution to your problems. With all the space you need in the interior zip and two slip pockets, you'll never have to leave any essential items behind. The unique material makes this such a rare and elegant bag along with bold colors that will make you stand out in the best way. Unfortunately, the USA Bergdorf Goodman online store does not currently offer international shipping. However, Big Apple Buddy, your personal shopper, can help you buy products direct from the official USA Bergdorf Goodman online store and ship them to your doorstep, no matter where you are in the world. We offer international shipping to over 110 countries including Australia, Austria, Azerbaijan, Bahrain, Belgium, British Virgin Islands, Brunei, Bulgaria, Canada, Chile, Costa Rica, Croatia, Czech Republic, Denmark, Estonia, Fiji, Finland, France, French Polynesia, Germany, Gibraltar, Greece, Greenland, Hong Kong, Hungary, Iceland, Indonesia, Ireland, Israel, Italy, Japan, Jordan, Kuwait, Latvia, Liechtenstein, Lithuania, Luxembourg, Macau, Malaysia, Maldives, Malta, Marshall Islands, Mauritius, Monaco, the Netherlands, Netherland Antilles, New Zealand, Norway, Oman, Poland, Qatar, Romania, San Marino, Saudi Arabia, Serbia and Montenegro, Seychelles, Singapore, Slovak Republic, Slovenia, Spain, South Africa, St. Lucia, Sweden, Switzerland, Taiwan, Thailand, the UAE, the UK, Vatican City, and Vietnam. If you would like to buy from the USA Bergdorf Goodman online store, simply let us know which items you would like to order (by filling out the form below) and we’ll get back to you with a free international shipping quote within 24 hours!